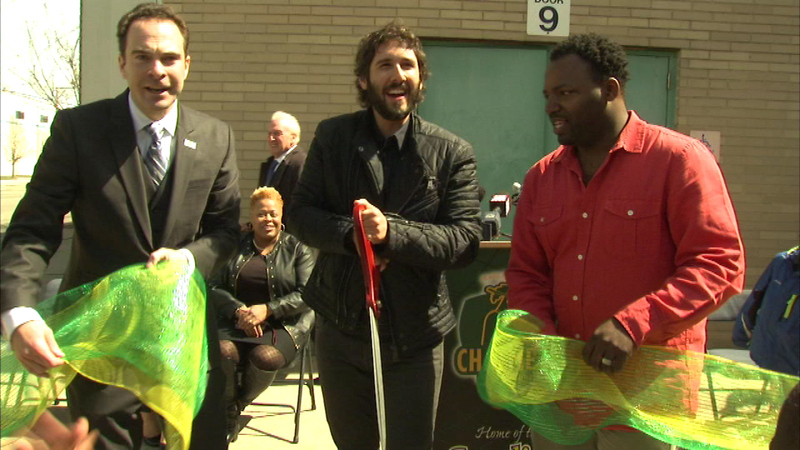 CHICAGO (WLS) -- Students at the Chalmers School of Excellence got a big surprise Monday when recording artist Josh Groban stopped by for a ribbon cutting at the school's new outdoor mosaic, which his foundation helped fund. Groban adopted Chalmers through a program aimed at turning around under-performing schools. "Chalmers is a school that is showing the country and showing the world, what a great arts education can bring to young people," Groban said. "You guys say it here, it's not just a flower, when you add in after math and science, it's a wrench, right, it's a tool." Chalmers is one of 32 Chicago public schools that are part of the Academy for Urban School Leadership that helps under-performing schools.